I lived quite few years in a house with a garden. Truth be told, those were the days of my childhood. But I remember that weeds were something my mom and dad hated, and it was difficult to remove them. The garden just doesn’t look as good as it could when there are weeds harming your other flowers. Now, as I’ve grown older, I’ve moved to an apartment. But even though I escaped those pesky weeds, I know there are people who love their gardens. And I know how hard it is to get rid of weeds. 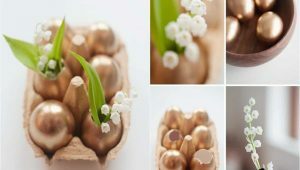 Therefore, today I want to give you several simple and easy DIY recipes you can make to take care of your weed problem. 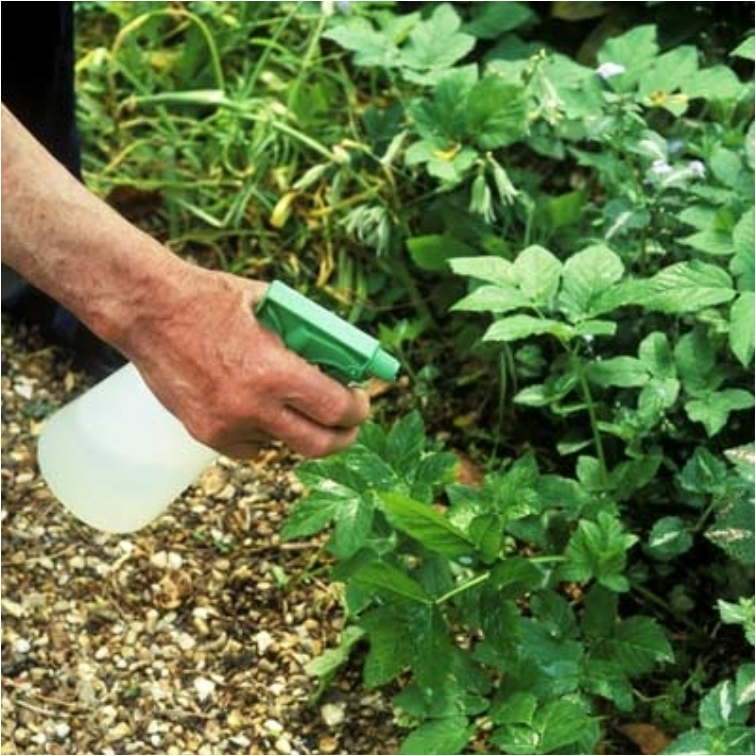 You can use this herbicide once a year, and your garden will be thankful for it. The good news is that it is very similar to some of the organic herbicides you can buy at the store. The difference is this one won’t empty your wallet. And it’s non-toxic. This is one of those old wives solutions, but it does work! Even better, it will cost you almost nothing, as all you need is water. 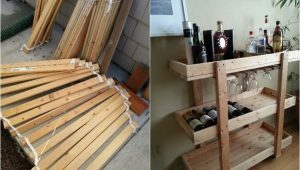 The only downside is that this solution works only for small areas. 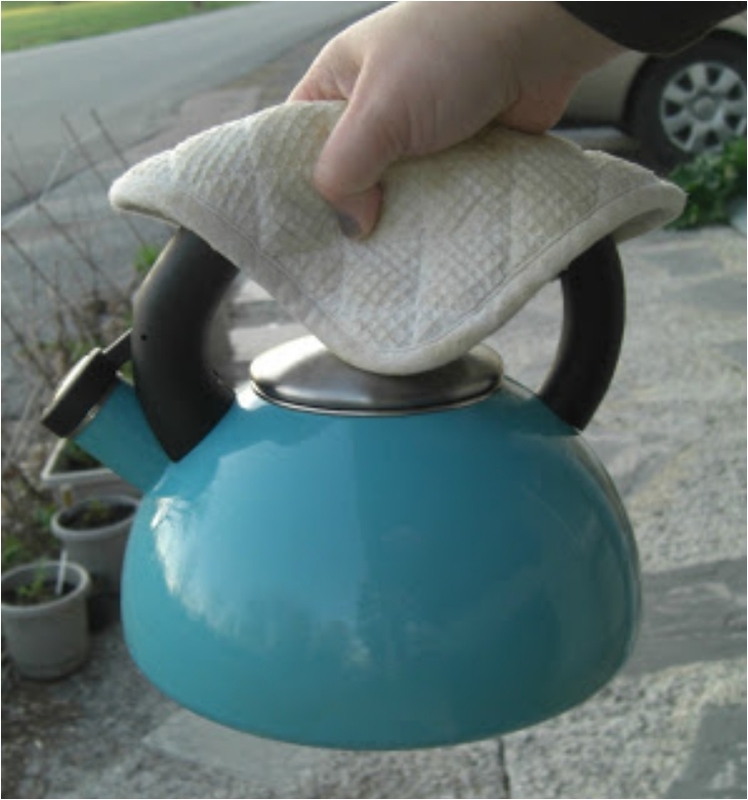 But if you need something to kill weeds by the driveway, boiling water is your best option. The first solution on this list was citrus acid. And you’ll notice many others with some acid in it. 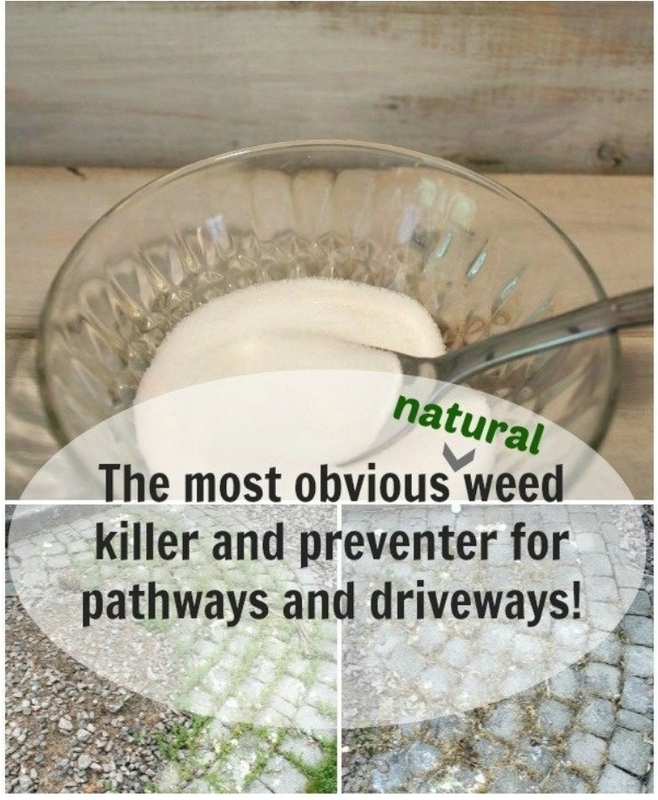 The reason is that acid is best for killing weeds. 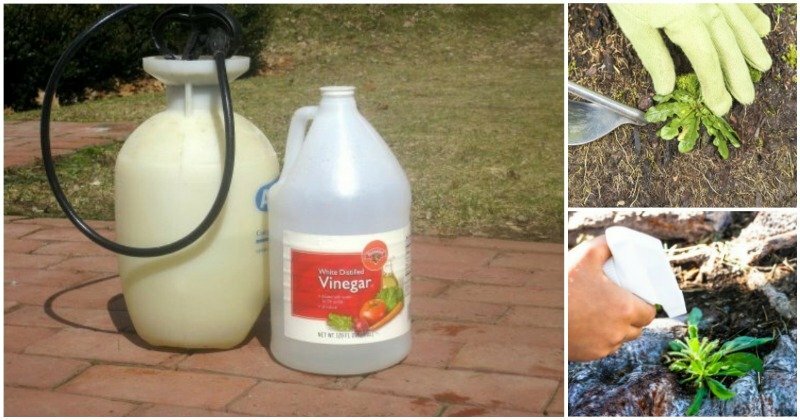 And thanks to apple cider vinegar, this solution has enough acidity to clean up your garden. 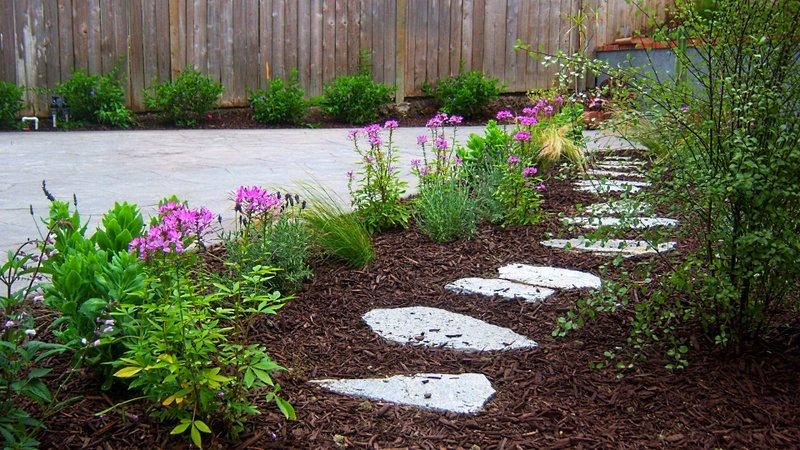 If you want to avoid using herbicides, even though they are non-toxic, you can always go a different route—mulch. 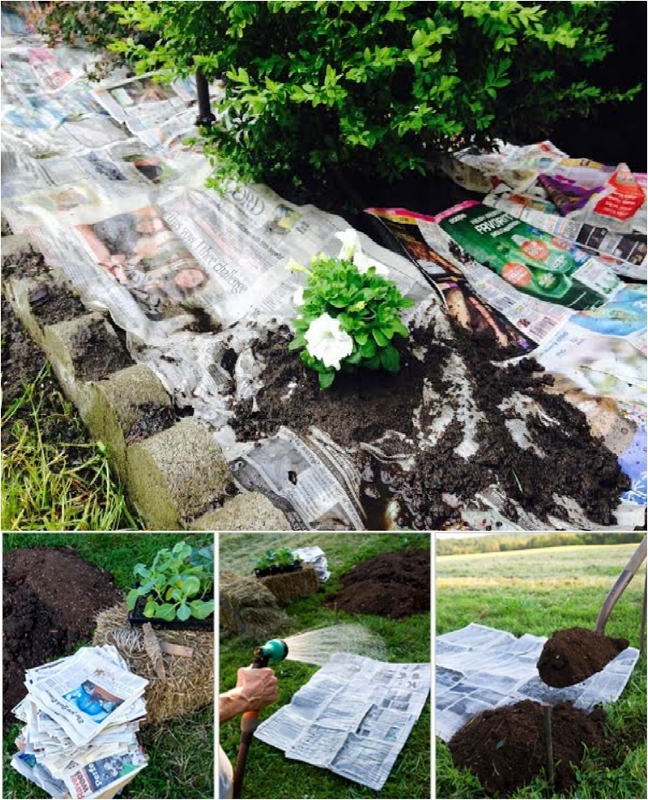 You need approximately 3 inches of mulch to reduce weed germination by keeping the sunlight from reaching the weed. It’s effective, and your garden will look unique. I love 2-in-1 solutions! 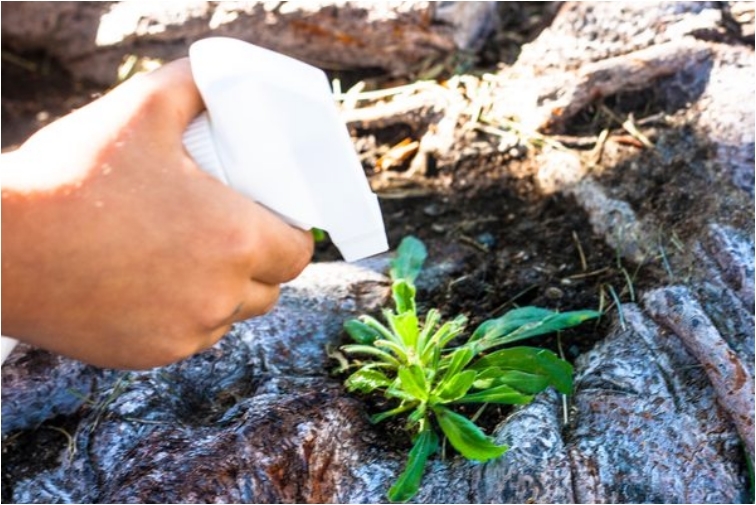 This solution will not only kill off weeds, but it will also keep ants away from your garden (and ants can be as irritating as weeds). The only thing to note here: be careful when spraying the solution. Do it only on weeds, and try to avoid the grass, as the solution can harm it. 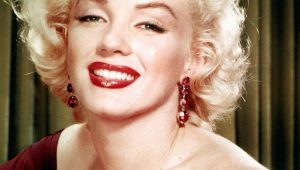 This trick dates back to Ancient Rome. Back then, Romans salted the earth to keep weeds from growing. Today, you can still use this trick for your weed problem. 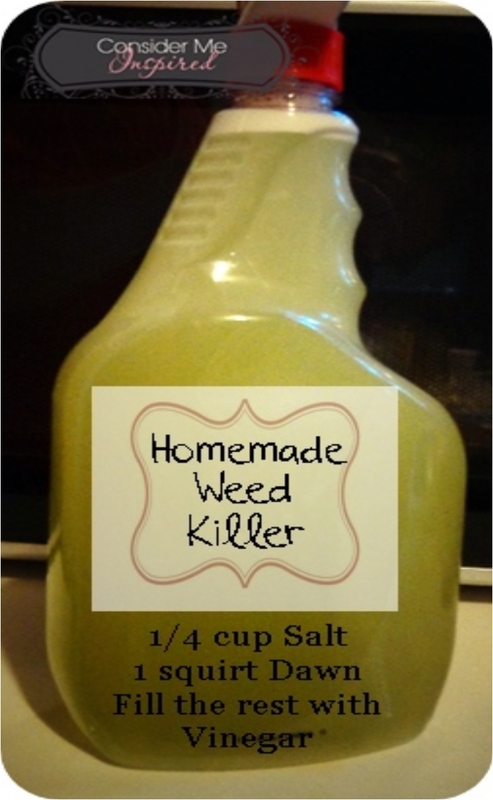 Salt works by dehydrating weeds, and when they dehydrate, they die. To speed up the process, use this trick on a hot, sunny day. 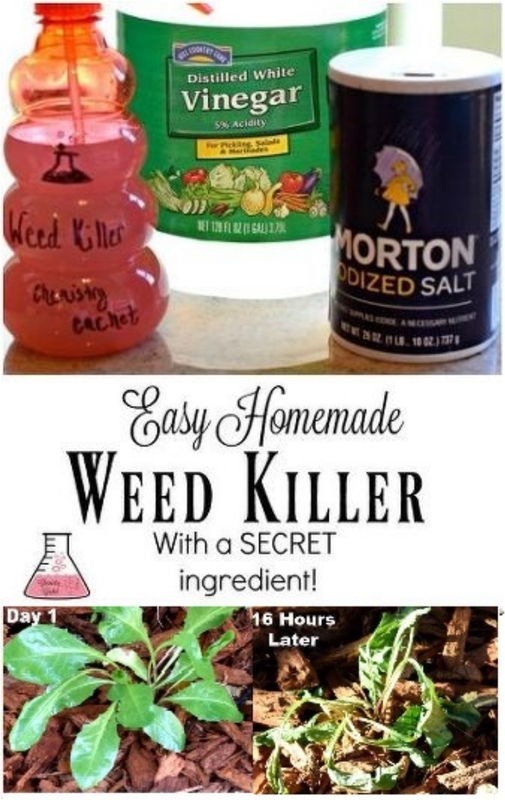 It will take only 24 hours for your weeds die. Even white vinegar works. 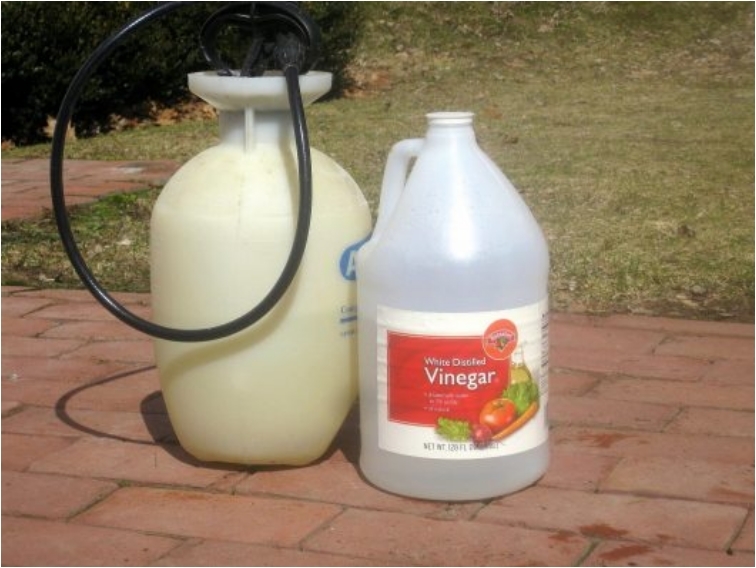 We talked previously about apple cider vinegar, and how acidity helps with weeds. But white vinegar is an even cheaper solution. The only thing you need to be careful about is to not spray this on plants you want to keep, as vinegar can harm them. 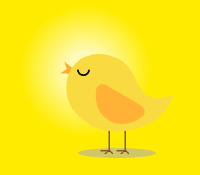 And again, a hot and sunny day is your best time. 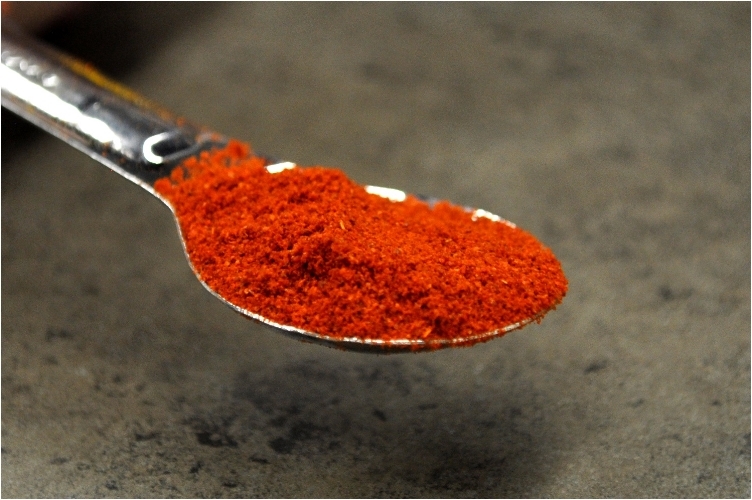 I hate to throw away cayenne pepper, as it is one of the healthiest and best spices. But hey, when you want a weed-free garden, you can spare some. You just need liquid soap to make the solution watery. I don’t know if this recipe comes from Russia, but it doesn’t matter. What does matter is that the recipe is effective. It works the same as most recipes here: vodka dries out the leaves of the weeds. Taking the acidity solution to the next level. 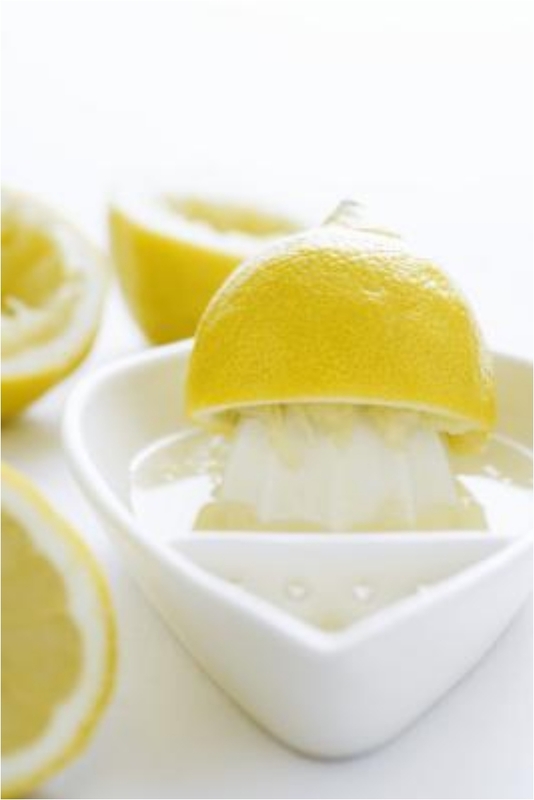 In this recipe, you have lemons (which are more natural than citrus acid) and some vinegar. Just be sure to wear protective gear when spraying the solution, as you don’t want lemon juice and vinegar to sting your eyes or skin. 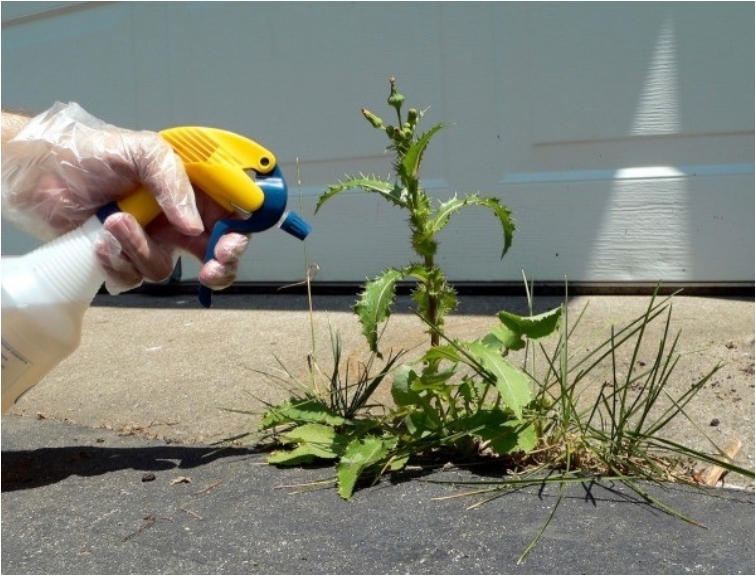 Borax is another inexpensive solution you can use to get rid of weeds. 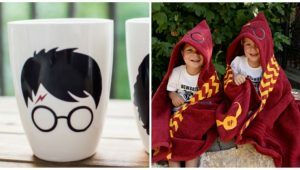 There are, however, a couple of things to consider. 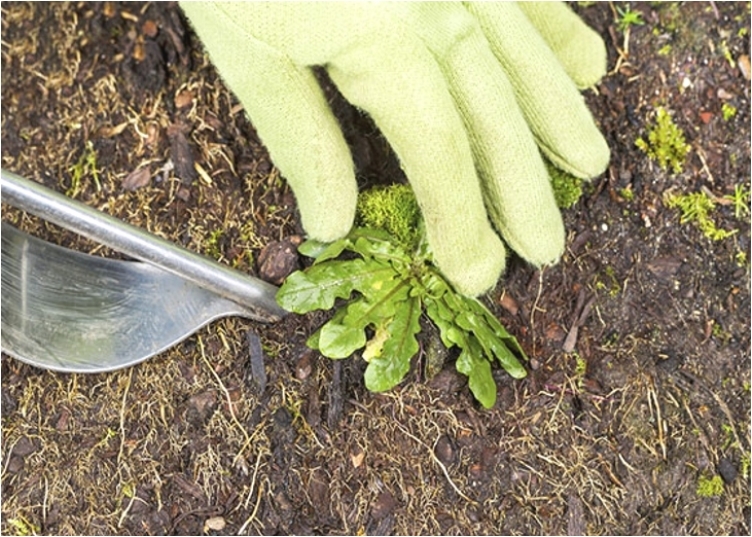 Borax can be harmful to your plants, so apply it when there is no wind (to ensure that you spray only the weed). Also, apply it only once per year for two years in a row. After that, either use a different solution, or take a year off if there are no weeds. 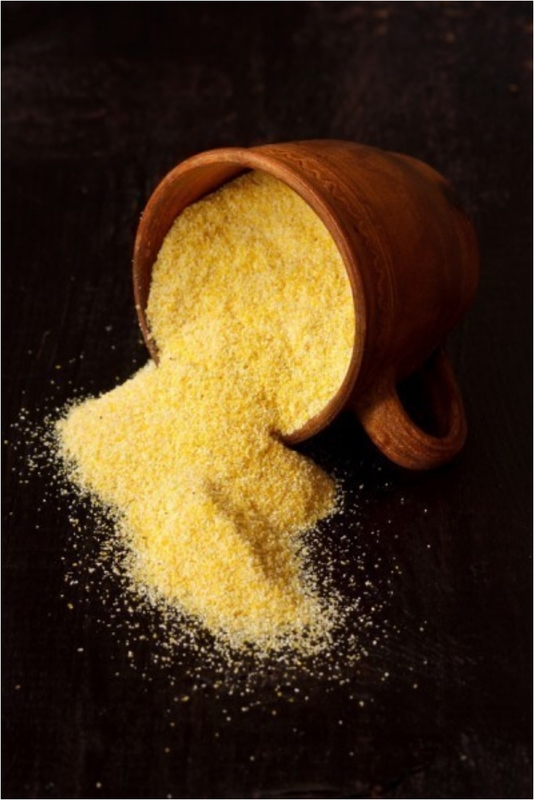 Known for feeding cattle, this cornmeal gluten is also a natural alternative to herbicides. The best part about this solution is that it won’t kill plants. Cornmeal gluten works only against seeds, so it is important to use it before the weeds appear. That way, your flowers and plants will be protected, and your garden weed-free. 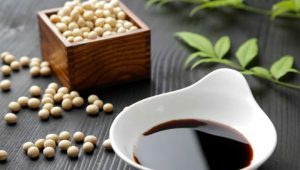 Although bleach is effective, some still prefer vinegar. 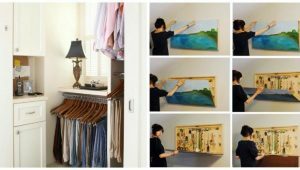 The reason is simple: bleach can be much more damaging to the environment and to the plastic bottle you use to spray it. 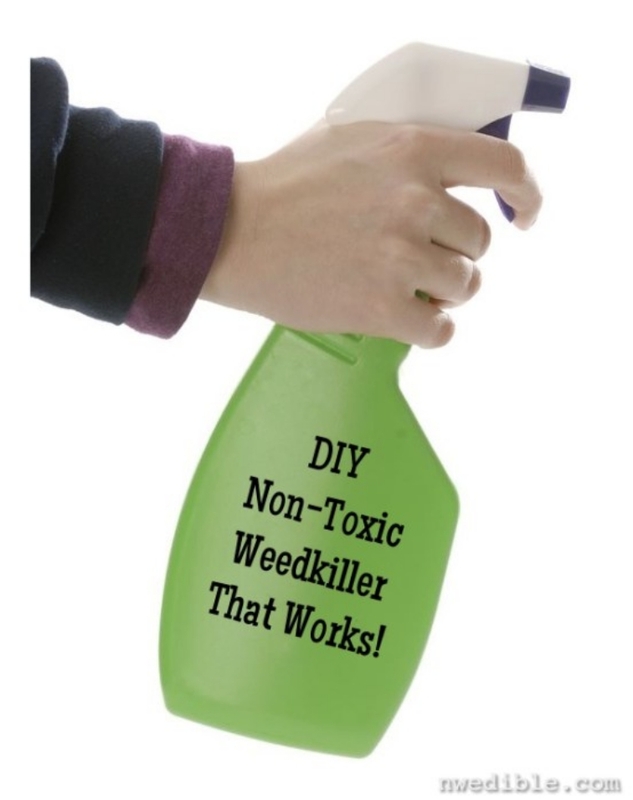 But if bleach is what you have on hand when weeds pop up, use it. Just be careful to not get it on the plants surrounding the weeds. 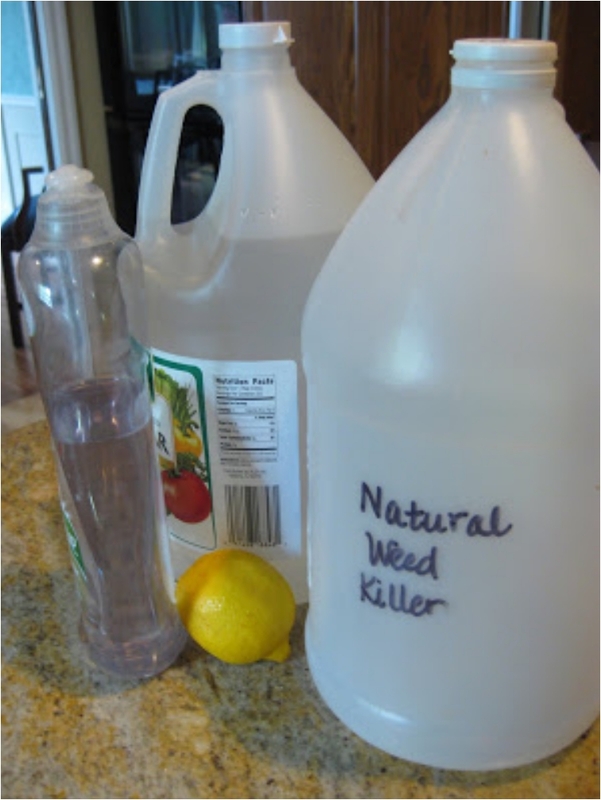 This solution combines two of the most potent weed-killing ingredients: lemon juice and vinegar. And then you have some soap just to spice things up. You can’t say it isn’t effective! The newspaper method works in two ways. First, it keeps weeds away. And second, and even more important, it provides an excellent breeding ground for your plants and flowers. 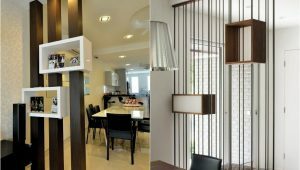 The only downside is that you’ll have to spend some time arranging the newspapers. As I mentioned at the beginning, when I was little, my parents pulled the weeds out. It was very effective, although it does take time. 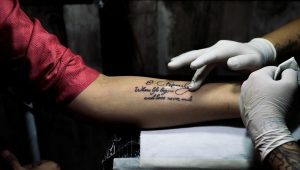 But it all depends on your point of view. For example, my father felt that taking care of his garden every Sunday was very relaxing. That’s all for now. And if any of you have any more ideas for taking care of weeds, please do share.